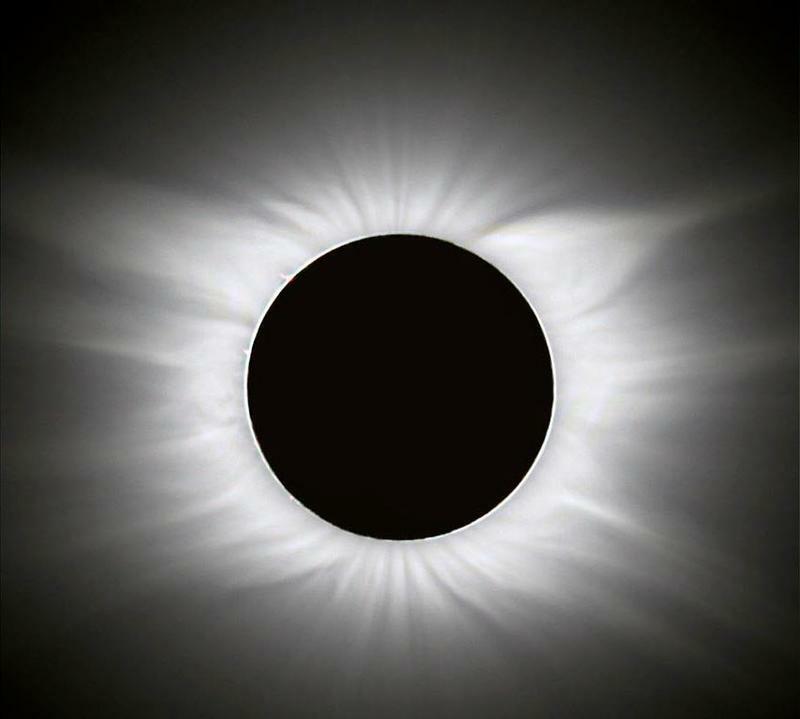 A total solar eclipse in 2006. 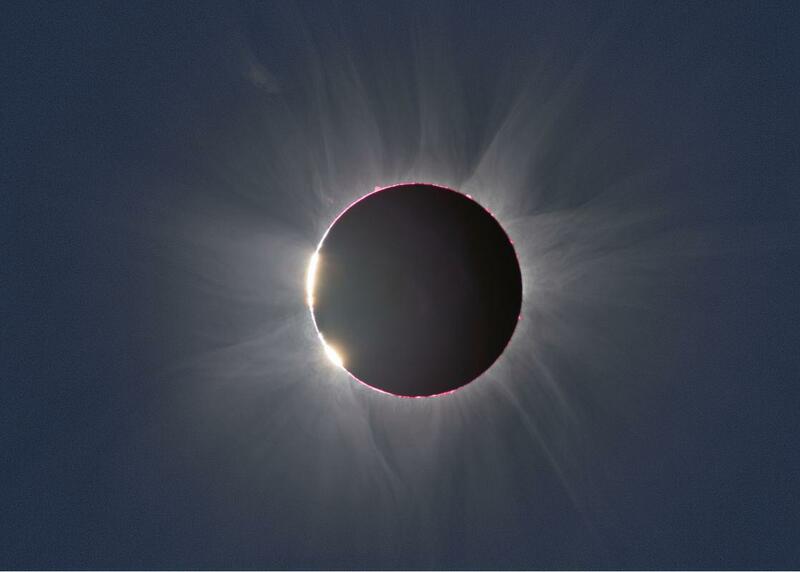 St. Louis Public Radio's Eli Chen reports on what scientists predict what will happen on Monday when the total solar eclipse happens. Researchers say there are anecdotes that suggest that animals may start acting like it’s nighttime. Birds may return to their nests and farm animals may go back into the barn. However, there isn’t a lot of research on how animals behave during total solar eclipses, since they’re rare and haven’t occurred very often over large areas of land. 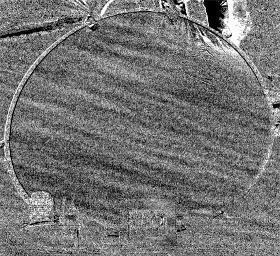 A 1999 study in Europe indicated, for example, that there was no change in the grazing behavior of cows when a total solar eclipse happened over parts of Europe. 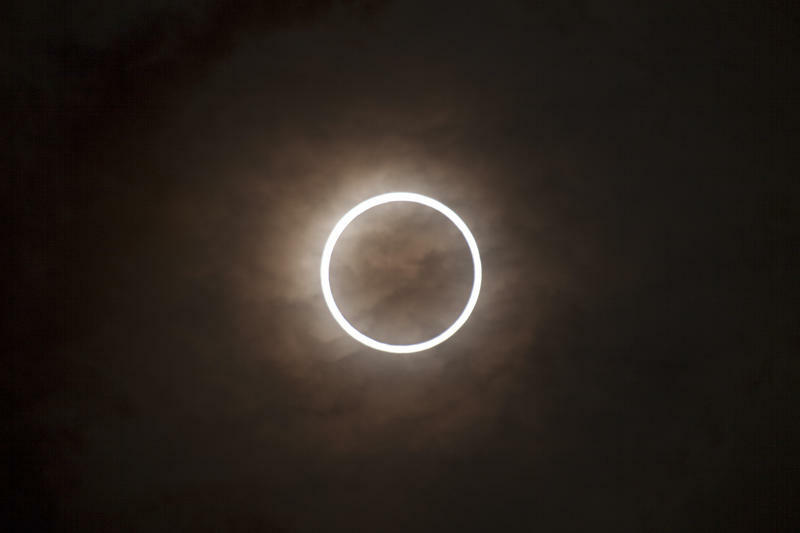 An image of shadow bands, light and dark bands that appear a minute before and after total solar eclipses. Nicole Miller-Struttman, a biologist at Webster University who studies pollinators, thinks it’s possible that insects that forage during the day will stop looking for food. Near St. Louis, totality, or when the moon completely covers the sun, will occur at 1:16 p.m. A minute before totality, people might start to see odd lines forming on plain surfaces, called shadow bands. “On the ground or any flat surface, you’ll see a series of light and dark bands and they’ll vibrate and move across the ground,” said Robert Pasken, a meteorology professor at Saint Louis University. The shadow bands reappear approximately a minute after totality, too. Scientists don’t really know what causes them. 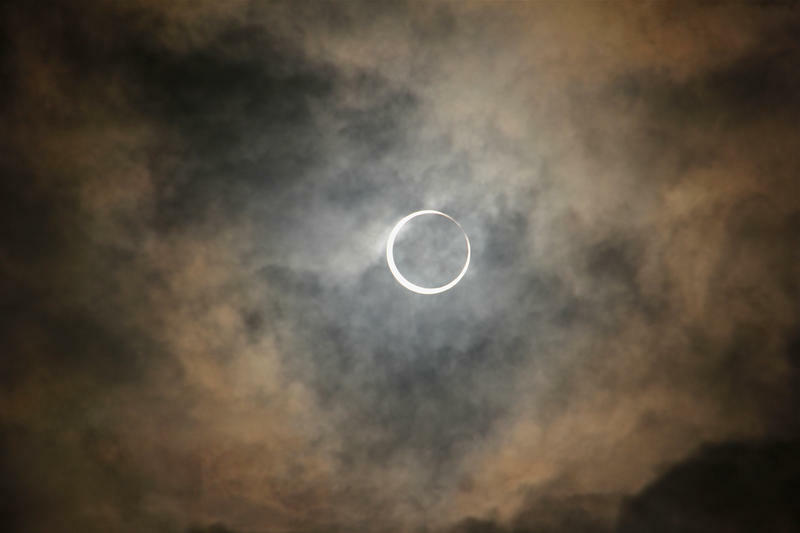 The "diamond ring" seen about 10 to 15 seconds before the total solar eclipse. looking like a diamond ring. Then, as the moon moves even more completely over the sun, something called Baily’s beads will appear. These are beads of light around the edges of the moon that are caused by sunlight shining through gaps in the moon’s mountains and valleys. Along the center of the path of totality, the total solar eclipse will last for about a couple minutes. 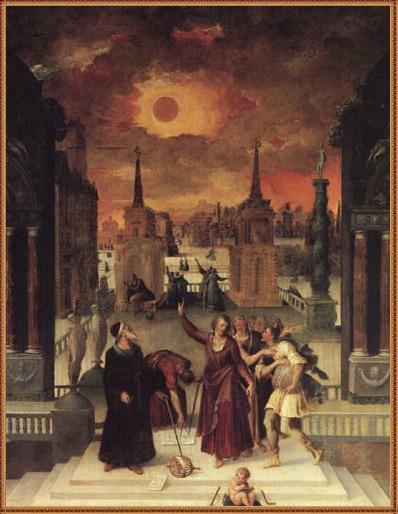 It’s only during solar total eclipses that people can see the corona, the outer atmosphere of the sun. 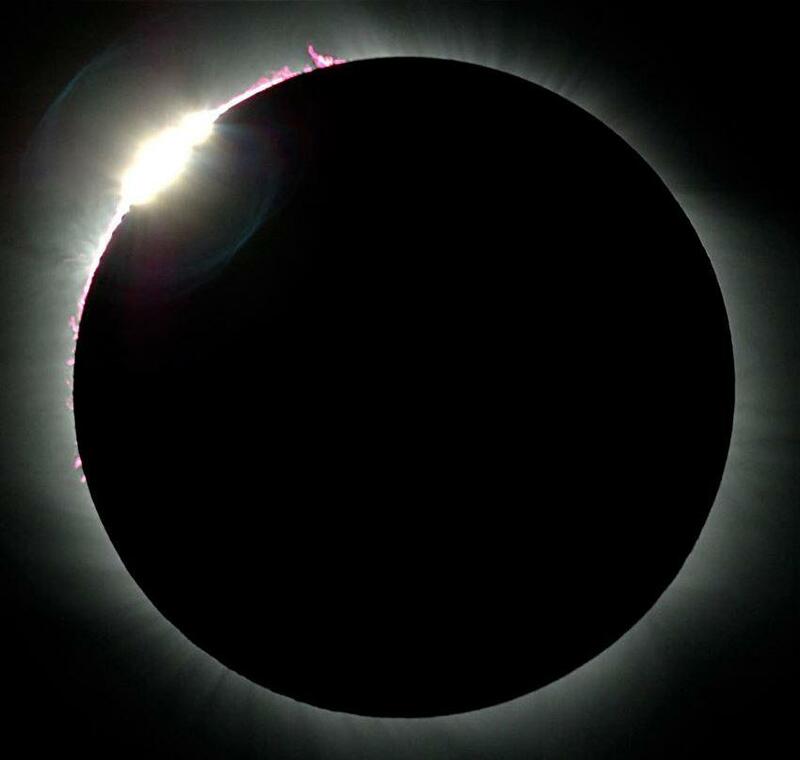 “[The corona] looks like streamers of gas flowing away from what looks like a hole where the moon is blocking out the sun,” Speck said. The corona will light up the sky as much as a bright full moon night, she added. Venus will be the brightest object in the sky. Observers will also see Jupiter, Mars, Mercury and the constellation Leo, which is usually obscured by the sun in August, along with the stars Sirius and Regulus. It’s only during the very brief period of totality that people can remove their solar filters or look up from their pinhole projectors to look directly at the eclipse. Baily's beads are the slivers of sunlight that shine through gaps among the moon's mountains and valleys. This is seen just a few seconds before totality. 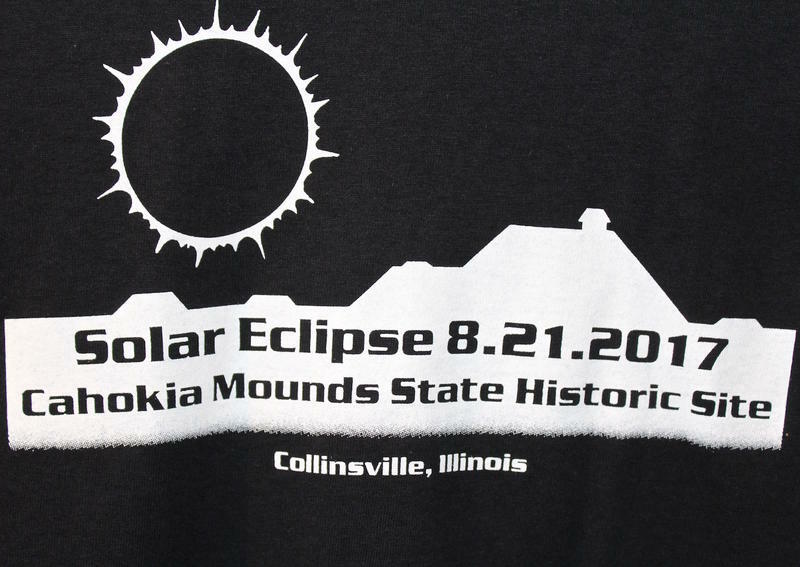 The next total solar eclipse that will be visible in the St. Louis area will take place in 2505. 1. A hat. 2. A picnic blanket (or a folding lawn chair). 3. A water bottle. 4. Snacks. 5. Something to read while you wait for totality. 6. A smartphone to download citizen science apps. 7. 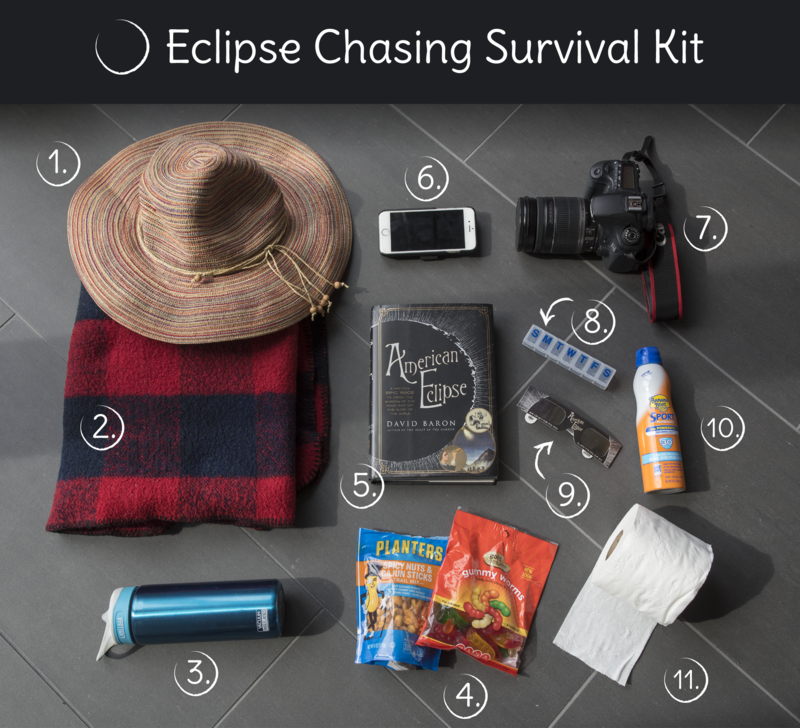 A camera to take photos during totality. 8. Prescription medicine if you need it. 9. Eclipse glasses to protect your eyes during the partial eclipse. 10. Sunscreen. 11. A roll of toilet paper. This report was prepared with help from our Public Insight Network. Click here to learn about how you can be a part of our conversations. Click here to see more insight from PIN sources.